UNIPOD – EPS Manufacturing, EPS Recycling, Moulded Polystyrene, Australian Made, Building and Civil Construction, Australia. Everyday, we deliver thousands of polystyrene products to commercial and residential construction projects around Victoria; helping jobs run smoothly and headache-free. 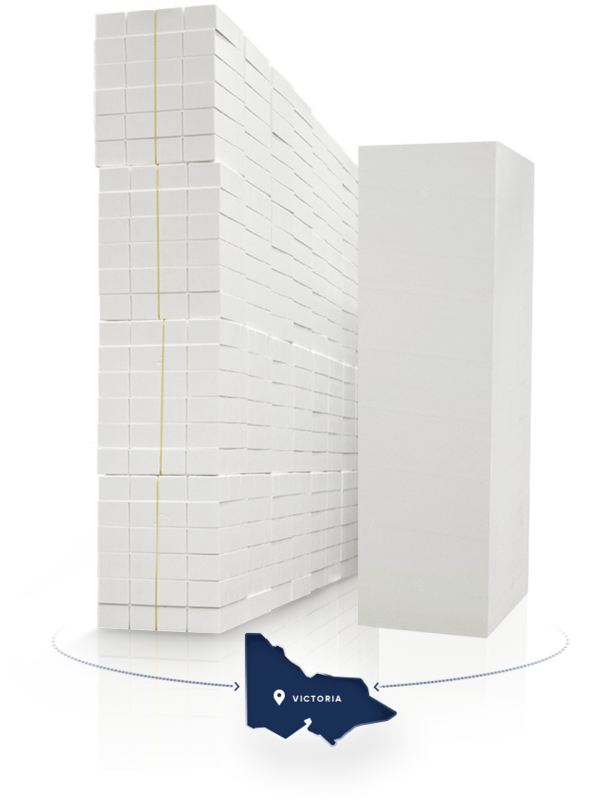 Unipod is an expanded polystyrene (EPS) manufacturing and recycling company that supplies Geofoam, waffle pods, underslab insulation and EPS block/panel to the building and civil engineering sectors in Victoria, Australia. We use the most technologically advanced machinery and are well-recognised as specialists in moulded polystyrene. Our high-quality products, flexible delivery, and communication with our customers created much demand for us to expand our product offering to a variety of moulded polystyrene systems, products, and accessories for the civil construction and building sectors. The unique service of providing full take-offs and estimations from engineered drawings for pods, geofoam, steel and accessories and the company’s large fleet of trucks and trailers, ensure Unipod offers its clients first class service every time. We first understand the design and requirements of your project to provide detailed pricing & quantities. Orders are accurately manufactured to your specifications, packaged and loaded ready for delivery. Hourly, our fleet of trucks operate around Victoria to carefully unload your products on-site, ready for install. The Main Product You Require?